I like to view various displays of world record deadlift for motivation. That it is possible to deadlift more than 200 pounds which is my highest deadlift. Yea, give me a break, I'm almost 60 and glad I am able to ride a bike, let alone deadlift! I am just a deadlift apprentice, learning the best form and trying to get stronger. My guess is that is what you want as well, to get stronger and fitter. The deadlift is a great strength training exercise to help any one of any age get more fit. 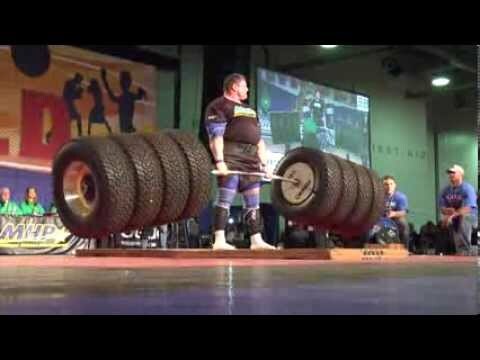 A record deadlift was set at the 2014 Arnold Strongman by Zydrunas Savickas at 1155 pounds. The tire deadlift is a deadlift performed using hummer tires instead of weight plates. The deadlift in strongman competitions is a deadlift using a standard bar and plates. However, straps and hitching are allowed. 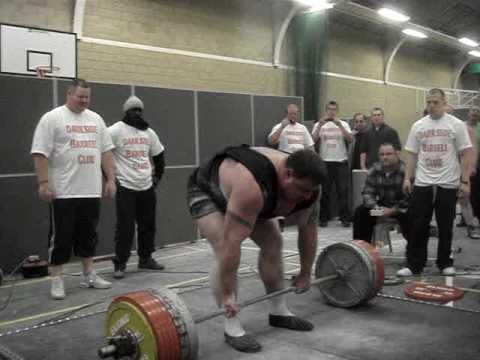 The highest deadlift record is 463 kg (1,021 lb) by Eddie Hall. Eddie ‘The Beast' Hall does a deadlift of 463kg or 1020 lbs in Leeds England to win the Championships. Commentary in the background audio is of Eddie Hall. A raw deadlift is performed without the aid of a deadlift suit. Only a weight belt is allowed. The world record for a raw deadlift is 460 kg (1,010 lb) by Benedikt Magnusson. An equipped deadlift is performed using a deadlift suit and standard bar. As well as a standard bar and plates. The record for an equipped deadlift is 457.5 kg / 1,009 lb by Andy Bolton. 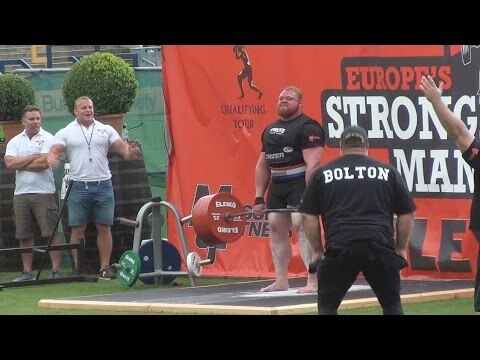 Andy Bolton 457.5kg Deadlift World Record!!! The world record for a partial deadlift in a strongman competition is 535 kg / 1180 pounds) by Tom Magee. 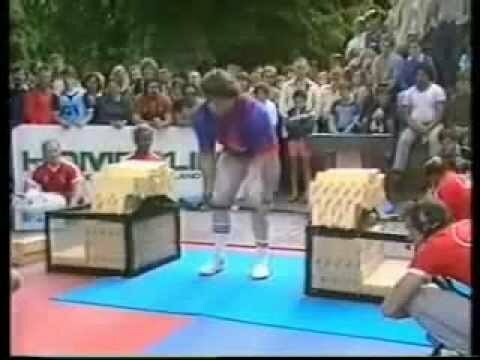 This happened in the 1983 World's Strongest Man competition. The partial deadlift is performed with wrist straps from 18″ off the floor with high bending bar.